What did we do when Fragrantica wasn’t around to helpfully provide a list of notes for perfumes we tried? I don’t know about you, but back then I didn’t think much about the notes. Usually I paid attention to whether the perfume reminds me of any other perfume I know (I still do that) but unless it was what we now know as a “soliflore”, I rarely thought twice about the composition of perfumes I tested or wore. When I first smelled Estee Lauder Pleasures Intense soon after it was released, I immediately said that it smelled of peonies. I liked it and planned to eventually buy a bottle but it never came to it. And only a couple of days ago, when I started thinking about this post, I remembered Pleasures Intense and decided to check the notes. Peony is the first one mentioned in the Fragrantica’s list. I haven’t smelled Pleasures Intense in about 10 years so I don’t know how badly it was reformulated since then. But in 2002 it was unmistakably peony perfume. And so far it is the only one that I recognize as such. When I was growing up, peonies were very popular flowers for summer bouquets. By my recollections they weren’t romantic flowers (that place was taken by roses, tulips or lily of the valley), but they weren’t too formal or official either (for that we had carnations, gladioli and calla lilies). Peonies were more in the home décor or hostess gifts category. But thanks to their great aroma, they were liked and appreciated. In the Northern California peonies are rare: I don’t think I’ve ever seen them growing here and in the last several years I would occasionally come across peony bouquets at a store or somebody’s house. So the flower wasn’t on my mind too often, and I wasn’t purposefully looking for perfume with peony in a leading role. But I would try those that happen to come into my orbit. Vert Pivoine by Histoires de Parfums was supposed to be all about peony: as little as one can trust a list of notes, when you see the same “peony” mentioned three times – once for each position of the pyramid – it is hard not to expect to get at least some recognizable scent. But no. The closest it gets to peony is by being awfully soap-y – exactly the way some rose perfumes turn out on my skin (and peony are said to have a sweet rose-like scent). I’ll give them the “green” part thought. Peony & Blush Suede by Jo Malone got into my perfume wardrobe by chance. I find it rather pleasant and wear from time to time but to some extent it was a disappointment: before I tested it for the first time I expected it would be more like Blackberry & Bay or English Pear & Freesia (in terms of intensity) than one of those evanescent blooms that the brand releases every year. I think I hoped for a love child of the original Bottega Veneta and Cacharel‘s Noa fleur. Unfortunately, Peony & Blush Suede is rather a delicate whisper than an assertive statement. Jessica (NST) in her review says that it “might not win over anyone who was really looking forward to a fruity fragrance, or who likes her florals to be very airy and clean, but it will probably appeal to wearers of feminine florals who have just browsed the Chloé and Balenciaga counters and not found anything quite to their liking,” and I completely agree with her, especially after testing perfume I’m covering next. Nobody will accuse Pivoine Suzhou from Armani Prive line of not being fruity enough. On application it feels like it’s dripping with juice. Pivoine Suzhou is young, bright and uncomplicated. Compared to it, Peony & Blush Suede seems like a very adult perfume. Interestingly, while both perfumes smell nothing like peonies I know, about an hour into the development, when Pivoine Suzhou‘s fruitiness subsides a little, for a while these two smell very similar, which makes me think that either they use the same artificial ingredient that is supposed to convey “peony” note, or they recreate the same peony cultivar, with which I’m not familiar. I would recommend this perfume for those who like the fruity-floral genre. Read Steve’s (The Scented Hound) review: his take on this perfume is very close to how I feel about Pivoine Suzhou. Though I haven’t found perfume with a perfect peony note, the search wasn’t completely in vain: I discovered perfume that I liked very much. Peony Angel by Thierry Mugler. I had the sample of this limited edition perfume for many years but, discouraged by my experience with Violet Angel, I kept this one classified “One day when I have absolutely nothing to test” (it is an actual category in my perfume database, if you were wondering). I tested it for this post and discovered that I like it very much. While having many facets in common with the original Angel (which I love), it’s softer, less gourmand and more floral (the Mugler’s “not-a-single-flower-has-been-harmed” type of floral, I mean). Oh, and it doesn’t smell of peony either. This entry was posted in Not a Review, Single Note Exploration and tagged Armani Prive, Estee Lauder, Histoires de Parfums, Jo Malone, Peony & Blush Suede, Peony Angel, peony perfume, Pivoine Suzhou, Pleasures Intense, Thierry Mugler, Vert Pivoine. Bookmark the permalink. “One day when I have absolutely nothing to test”- I love you :-) I can only think of you in the whole world who would actually have such a category, even though it makes completely sense, and I now want such a category myself. As for peony, although I like the flowers, I don’t care for the way their scent is usually done in perfume, there’s something too cute and too ozonic at the same time, but maybe that’s because the real scent as you describe hasn’t been captured? Thanks for this great round up, I’ll try and sniff the flowers when I next get the chance. Thank you, dear Asali. That category came to life when I realized that I had a number of samples that stayed untested for years – just because I could never persuade myself to waste my skin and time on trying them. It annoyed me that I had dozens of samples that were categorized as “Want to try (new for me)”, when they weren’t that new any longer, and I clearly didn’t want to try them. Once I cleared my samples for testing backlog, I felt much better. 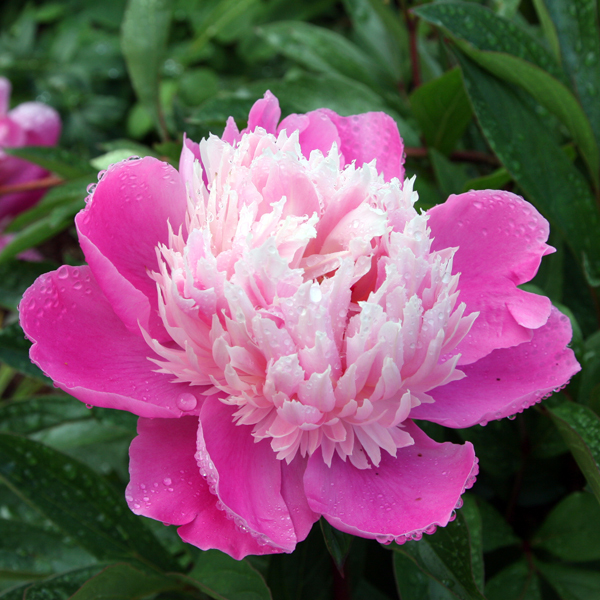 There are some extremely beautiful peonies – like the one on the first picture in the post. I wish we had more of them where I live now. I want to buy a bunch of peonies to learn the true scent now. I’ve liked the perfumed version from time to time but felt it pretty in a rather bland kind of way. However, I was interested to read that Acqua di Parma have released Peonia Nobile as a Special Edition. That could be really lovely. 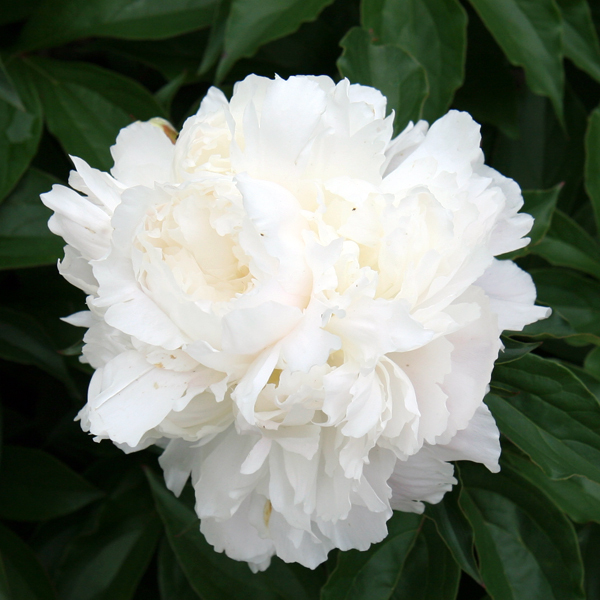 As I read, there is a wide variety of peonies, and many of them smell differently. But if you get to smell the “right” ones, you’ll like the scent. You still might not want to wear it as perfume but it’s a straight-forward pleasant smell, nothing controversial about it (the way it can be with jasmine or tuberose, for example). If I ever come across Peonia Nobile, I’ll give it a try though for some reason this brand just doesn’t appeal to me. Funny, we have peonies in our yard and I find that they really don’t have much, if any fragrance and the flowers don’t last as well. And peony in a perfume really doesn’t call to me. I guess peony just isn’t my flower! Oh….and thanks for the link love. And where’s Rusty???! You have a wrong variety of peonies, I’m positive! “Right” peonies smell great (regardless of whether you want to wear them as a perfume or not). Have you tried Pleasures Bloom? It has peony as one of its major notes, and it is really pretty. It starts out with light fruity notes but the middle notes of peony and rose emerge soon. I often smell fruity notes when I smell real peonies and roses so I like it; I wouldn’t call it a true-to-life peony scent though. I do like JM’s Peony and Blush Suede too but I don’t disagree with your comments! I’m sure that I saw the bottle of Pleasures Bloom but in a while I stopped checking out mainstream flankers. Now I’m curious, so I’ll see if it can still be found at Estee Lauder counter. I got a bottle at either TJ Maxx or Marshall’s, don’t remember which. I really like EL Pleasures Intense! I’m not a fan of the Jo Malone. On me it smells like…nothingness. HAve you ever tried L’Infante by Parfums Divine? Somewhere along the way I acquired a small bottle of this and to me the peony note smells really strong. Having said that, I have never smelled a real live peony. They don’t grow in Texas. PS–Did you see my follow up to your message? I am happy to send you my sample of Georgetown if you would like to try it. I’ve never seen or smelled any of Parfums Divine creations: somehow I just didn’t come across the brand in any of my perfume-sniffing trips. I didn’t realize that peonies didn’t grow in Texas as well: I thought they need winter – and your state has it, unlike mine. I’m ashamed to admit, but I couldn’t remember the conversation, in which Georgetown came up. Can you please remind me? But, in general, I’m all for trying new things and exchange of samples, so we can definitely organize it. Great post my dear, I really adore the “in the search of perfect…” series. I remember the bottle of that Penhaligon’s perfume but I’m not sure if I’ve tried it. I will soon though: they’ve just opened a brand-new shop not too far from where I live (though since it’s a small shop I’ll be able to go there without actually buying something a limited number of times – and I’m not buying anything there: I’d rather wait for the online sale ;) ). Across the road from Jin’s parents house in South Korea, a small village near Busan, is the most fabulous peony bush I’ve ever seen. It’s about 7′ high and for a few weeks each year is covered in salad plate sized deep pink, nearly burgundy, ruffled peony flowers. In the cool mornings you can smell the peonies from next door as you get ready to go about your day. I’m yet to smell a fragrance that captures the cool, wet, floaty, sweet, green and fluffy gorgeousness that peony is. didn’t know peonies can be that tall! In general, whenever I’d experienced a great flower scent, I remember thinking that I didn’t think it was possible to recreate it in perfumes. I must confess that I have never been especially drawn to peony as a perfumery note. Echoing Tara’s thoughts, really. Coupled with Steve’s comment about their scent being a bit too reticent, and the blooms not lasting well. Probably the main reason I have issues with peonies is because we had two big bushes of them when I lived with Mr Bonkers, and as soon as they grew to full height, they promptly fell over. ‘Peony propping’ became a constant chore through the summer. I did enjoy your post notwithstanding my lukewarm interest in the flower and note, and that one by Armani sounds the most interesting to me. Vert Pivoine was more about the green, I agree, and I never tried the Jo Malone, after being underwhelmed by the plum one a while back. Love peony propping. 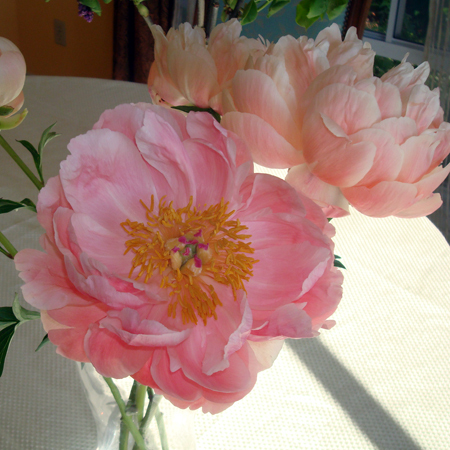 For me peonies mean shaking out the ants from among all those petals before bringing them into the house. I mostly experienced peonies in bouquets – and I don’t remember them being too fragile. And those bushes that grew in my grandma’s garden… I wasn’t the one who had to take care of them, so I wouldn’t remember. I would have offered you Jo Malone’s perfume to try but I’m not sure it’s worth the hassle of decanting and sending over the world. But if you ever try it and like enough to want to wear – just whistle, and I’ll be glad to share it. Hi Undina! I can’t speak much for peony scents in perfume, except to say that I loved Vert Pivoine when I sampled it many years ago. Although it reminded me more of rose than peony, it was dewy enough that (for me) it successfully captured the spirit of peony. I share Christos’ sentiment about peonies being the most visually pleasing flowers, and I loved your post for that reason … your exquisite photos! Thank you, Suzanne! I couldn’t pass by those peonies when I saw them. The first one is my favorite with those drops of water on petals. And the last one was a perfect illustration for “angel” (I don’t mean perfume). How interesting! For me those are in the first dozen that comes to mind – though they won’t be my choice for ether a flower or a perfume note. I tried Quel Amour briefly when it was released but something didn’t work for me – I don’t remember now what it was. I need to check if I still have a sample and, if yes, re-try it. Peonies are so hard to capture! To my knowledge, it cannot be done naturally so a challenge to create. It is such an unmistakable scent. I really love them. For some reason peonies convey both young and grandmotherly (in a good way)…. Lovely pics! Every time I smell any real flower that I enjoy (be that a rose, lilac or lily of the valley), I think of how impossible it is to capture it in perfumes – even if it technically works, as with roses, and worse for those that don’t share their scents willingly (the other two flowers from the list above).